CPR Certification courses in Mississauga take approximately 4 to 7 hours and teach a variety of topics including how to check vitals. Would you know what to do if a loved one had cardiac arrest? 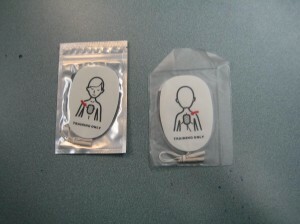 Do you know what an AED does and how to use it? Do you know the latest CPR and AED rescue techniques? 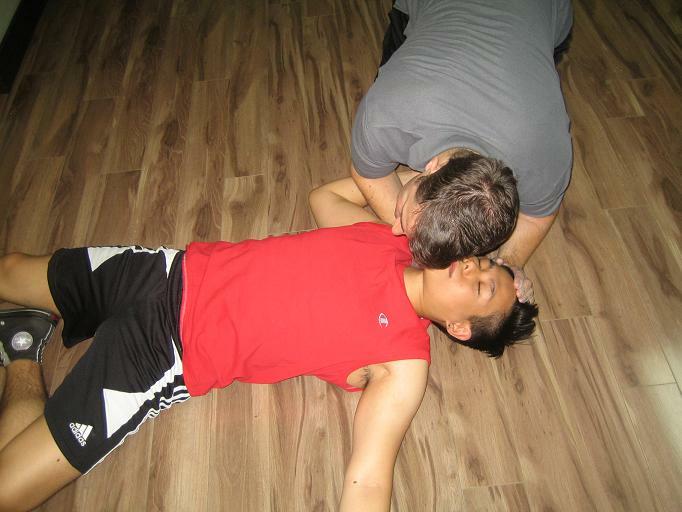 Get certified and learn the latest rescue skills by enrolling in CPR certification courses with Mississauga First Aid. This provider offers basic life support training, CPR for health care providers, re-certification courses and a wide range of workplace safety, first aid and food safety classes. This provider is the most popular provider in Mississauga because of its conveniently located training centre, experienced teachers, well-maintained and clean classrooms, low prices and friendly customer service. Registration for first aid, safety and CPR certification courses can be completed using the contact information provided below. How to Contact Mississauga First Aid? Trainees may enrol any time using the on-line application form or via e-mail. Telephone calls and walk-ins at the training centers during business hours are also highly encouraged. 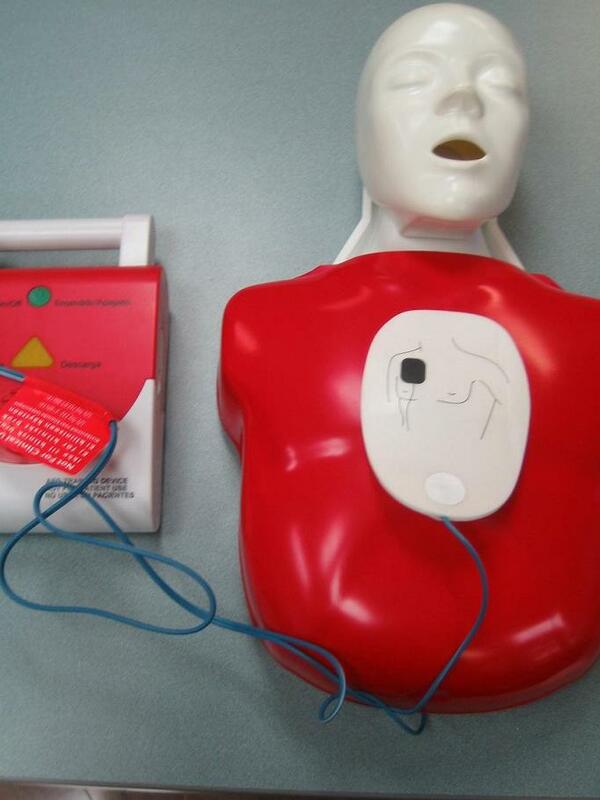 Register for a first aid, CPR, or AED training course online by clicking here. Treating head injuries is one of the topics covered in first aid classes. These topics and more are covered in a CPR and AED course offered by Hamilton First Aid. Find out what course you need and register using the contact information posted above. Trainees are taught to “push hard and push fast” during the CPR and AED training classes, with rescue breaths given after the first round of compressions is done. This is due to recent studies that revealed that compressions started within the first 3-5 minutes after collapse significantly raises the survival rates of victims of cardiac arrest. So instead of “look, listen, feel (for a pulse)”, the immediate steps must be “call for help” and “push hard and push fast”. The sooner a rescuer starts CPR the better. When the victim isn’t breathing start compression’s immediately. Trainees who are able to complete a training course are awarded a St Mark James certificate, valid for three years throughout Canada. Near-expiry certificates can be renewed through refresher courses offered twice a week. Training centers are equipped with the latest technology in first aid, CPR, and AED training. Classrooms are well-maintained and spacious, designed for the most comfortable learning experience of the trainees. The centers are easily accessible to and from public transport, with free parking available nearby for trainees with private vehicles. Restaurants and shops are some of the amenities within walking distance of the center. What happens in an anaphylactic reaction? The cause of any allergic reaction is exposure to an allergen. Common allergens are food and insects such as peanuts, shrimp, and bee stings. In an anaphylactic reaction, the immune system of the body reacts harshly to these allergens, sending out a rush of chemicals in the body that causes blood pressure to drop and airways to swell, spasm, and narrow. This reaction is life-threatening. Important note: If you’re allergic to shellfish, remember to inform your physician if you’re about to undergo an imaging diagnostic test that uses a dye. The dye used in imaging tests is made from shellfish. Sign-up for CPR and first aid education together with Mississauga First Aid to make sure you receive the finest quality training courses at the most affordable prices.